It’s easy to slack off with your skincare routine over the summer months, as the increase in sunshine and water consumption does wonders for our skin. However, as we transition from one season to the next we’re already starting to feel the needs of our bodies change; they’re crying out for a moisture hit, a little bit of loving and the products that can help us get through the winter months with ease. My portfolio of skincare products is expansive, but a brand I often turn to for a helping hand is Palmer’s: their simplistic approach slips into my routine with ease, without compromising on effectiveness. Simple doesn’t always mean ineffective – in fact, sometimes keeping it simple is the best way forward. If you’re looking for a helping hand to transition you into the colder days, without adding ten more steps into your routine, then they’ve got five essential products that will tick all your boxes. Here’s a run down of the products that will make those approaching cold November days a doddle, and how you can be using them from morning through night. No matter what time I manage to drag myself out of bed, I never have long enough to complete my routine in the way I really should. However, there are products that can speed up your regime without scrimping on performance – including Palmer’s Skin Therapy Oil. Oils are definitely having a moment in the beauty world, and for good reason; they’re bursting with goodness and the skin absolutely soaks them up. Palmer’s Skin Therapy Oil Spray (£9.99) contains pure cocoa butter, Vitamin E and a Cetesomate-E complex to help improve the appearance of scars, stretch marks, dry, uneven skin and ageing skin. It’s lightweight and easily absorbed, meaning you can spritz on a touch after the shower and let it get to work without it slowing you down – or sticking to your tights. Just massage it into skin to leave the surface glowing with health. I just can’t be without a hand cream in the colder months, re-applying multiple times a day to prevent the irritating dryness that harsh winds can cause. Although many formulas are pleasantly scented and housed in beautiful tubes, many of them are more like a cosmetic than a skincare product. 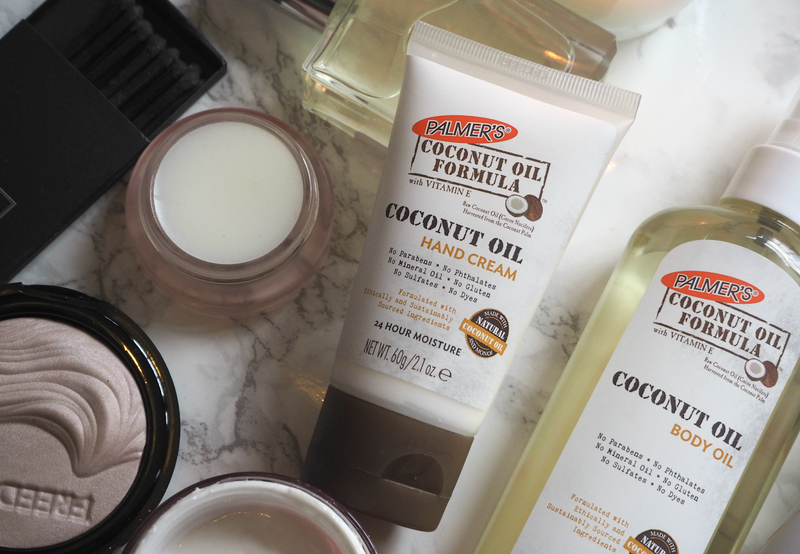 Palmer’s Coconut Oil Hand Cream (£2.40) smells delicious, but also contains sustainably sourced Coconut and Tahitian Monoï Oil to deliver rich moisturisation for instantly soothed and pampered skin. I love it. Once I’ve used it once or twice, I don’t feel like I need to re-apply so much throughout the rest of the day – proving it not only works, but that you don’t need a lot to get results. Although you may not think of a body oil as an on-the-go product, Palmer’s Coconut Oil Body Oil (£7.00) is a handy addition to any handbag thanks to its lightweight and quickly absorbed formula. It deeply hydrates, rejuvenates and replenishes skin’s radiance – as well as providing up to 24 hour moisture in one hit. The spray nozzle ensures application is targeted and there’s no excess or waste, delivering what you need on the go without the faff. If your arms are feeling a bit dry, your legs are looking a bit scaly, or your complexion is looking a bit dull, a spritz of this will perk you up in no time at all; you can even mix it with your hand cream for an intense treatment without having to leave your desk. After a long day out in the chill of Autumn, what better way to relax and replenish than with an indulgent massage session with a bottle of Palmer’s Coconut Oil Body Lotion (£4.00)? 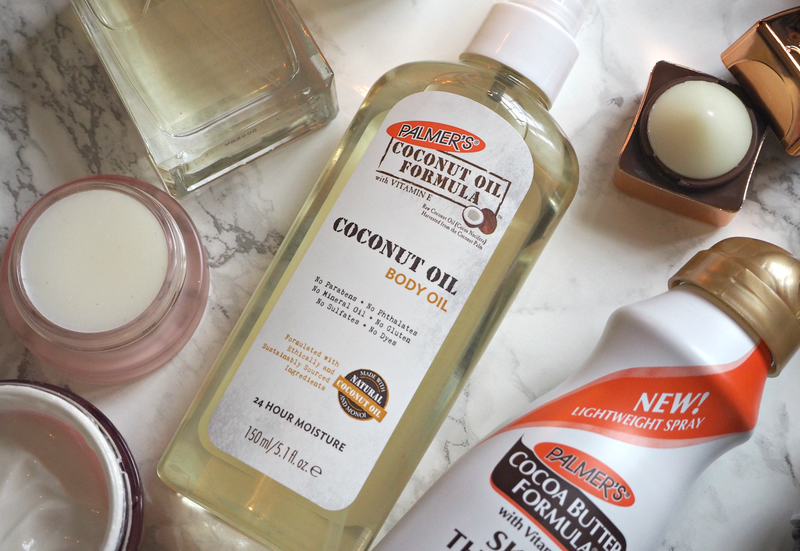 If you’re a fan of the original then you’re going to love this coconutty version – or if you’ve yet to discover the benefits, at £4.00 it’s easy to justify a purchase. The non-greasy formula contains high levels of naturally occurring fatty acids and proteins that are essential in keeping skin radiant and healthy looking; one application provides up to 24 hours moisture, but when massaged into skin before bed you’ll get even more benefit. While we sleep our skin ‘rejuvenates’, as it has to work less on protecting itself from the elements; applying a layer of body lotion before bed will allow it to sink in and get to work, ensuring you awake feeling refreshed and hydrated. In addition, it’s well worth getting out your Skin Therapy Oil Face (£9.99) again and massaging into skin about thirty minutes before you slip between the sheets. The intensity of the formula will deliver goodness to skin while helping to replenish any moisture loss from the day; if you apply a few drops to the palms of hands and massage in circular motions (focusing on pushing the skin upwards – never down,) you’ll also help stimulate bloodflow and encourage plumpness. If you don’t have time for this every day, then just mix a few drops into your night cream for boosted performance while you sleep. And there you have it. All you need is five products to transition your routine, boost skin and ensure you’re well hydrated when you step out into the cold, harsh morning winds. For less than £35.00 you’ve got everything you need to help protect you from the elements. Keeping it simple definitely has its benefits! 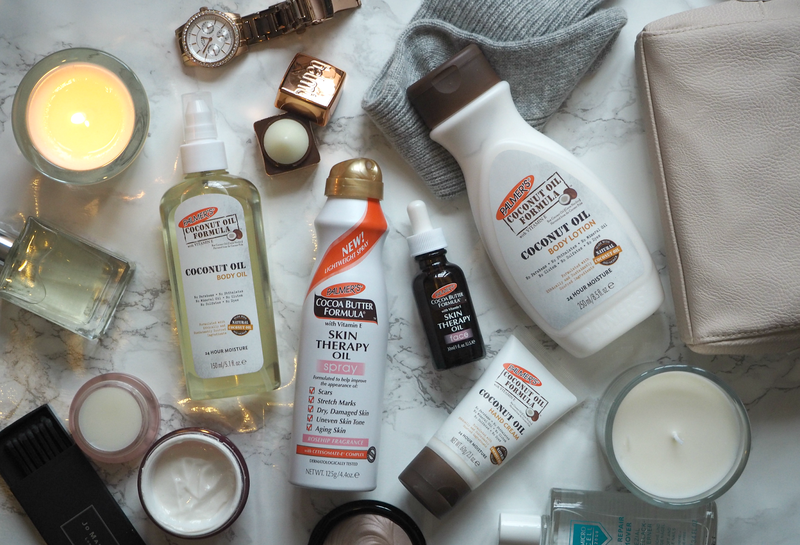 Because we want you to experience these products for yourself and prep your body ahead of the winter season, we’re giving away TEN Palmer’s skincare sets featuring the five products I’ve mentioned above. If you want to be in with a chance of winning, just complete the steps necessary in the widget below. Good luck and good pampering. Are you a fan of Palmer’s body and skincare products? Will you be making a purchase to help you get through the winter months? Palmer’s body and skincare products are available from Boots, Superdrug, Feel Unique and selected supermarkets. Find out more on their website. This is a sponsored post on behalf of Palmer’s. All opinions are my own and these are genuinely fab bargain buys. Next Post IS DOUBLE CLEANSING REALLY NECESSARY FOR HEALTHY LOOKING SKIN? 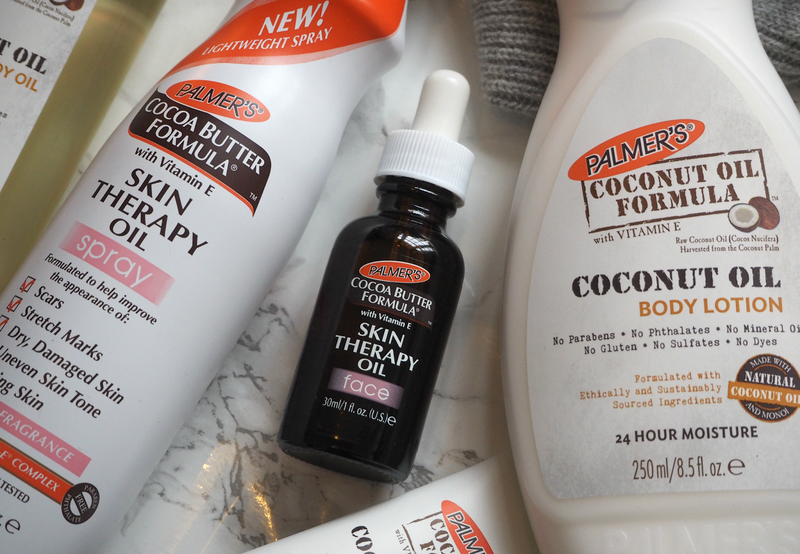 I love how Palmers have branched out into skincare in recent years – it's a long way from when they just used to be all about the stretch mark cream! Oh my! I have learned so many things in this skin care post. i think this is something worth trying out. I absolutely love Palmer's skin care products! I've purchased and loved many of their products. Right now I'm using their lip balm to help moisturise my lips and protect them through the Winter. My morning starts with skincare products by Dermology. I would love to try Palmer's coconut oil this winters.